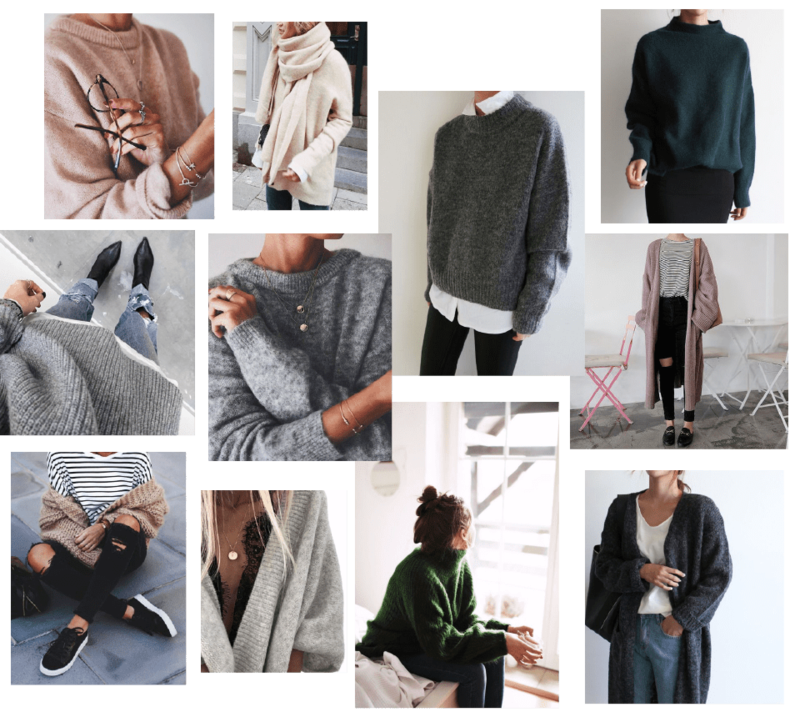 It’s the first day of fall and in London the temperatures have already dropped, so it really does feel like the season of knits is upon us and I thought it was time to share some knit inspiration for your fall wardrobe. Knits are one of my favourite wardrobe pieces, and although I’m not entirely ready to say goodbye to summer (come on Indian Summer), I’m pretty excited about wearing all my knits again. With the arrival of a new season, I always feel like splurging on new items to update my exciting wardrobe (and I do have my eyes on a few pieces from Aiayu) but for now, I’m probably going to stick with what I have. Because over the years I managed to build quite an arsenal of classic, good quality pieces that I absolutely love. The next few weeks I’ll hopefully be able to wear my knits over my summer dresses, but it won’t be long before I’ll wear them with my jeans on repeat. I love the mix of chunky knits and dainty jewelry, but I’ve never quite mastered the art of it, maybe this will be the year. What’s your favourite way to wear your knits? Spend some time figuring out different ways to style the same sweater – it will make your wardrobe feel bigger without actually adding more pieces to it. Always choose natural materials and go for Alpaca over Cashmere. Stay away from synthetics – especially acrylic. Choose colours that you won’t be sick of next year – my favourites are grey, white, black and dark green. Choose a classic cut – I love tight sleeves with a loose ‘body’ and a round neck. Knit your own – it’s the perfect way to spend those dark, cold fall nights indoors, the finished sweater will be more meaningful to you and it just feels like such an achievement when you finish it. Are you on the lookout for new pieces this season? And if so, will you invest in good quality, eco-friendly ones? Uh you already know that some Aiayu babies have been added to my closet. Ja, er noget misundelig på dine Aiayu sweatre – de ser SÅ lækre og fine ud!